BERLIN (AP) — They’re angry at their elders, and they’re not taking it sitting down. The coordinated ‘school strikes,’ being held from the South Pacific to the edge of the Arctic Circle, were inspired by 16-year-old Swedish activist Greta Thunberg, who began holding solitary demonstrations outside the Swedish parliament last year. Friday’s rallies are expected to be one of the biggest international actions yet. Protests were underway or planned in cities in more than 100 countries, including Hong Kong; New Delhi; Wellington, New Zealand; and Oulo, Finland. 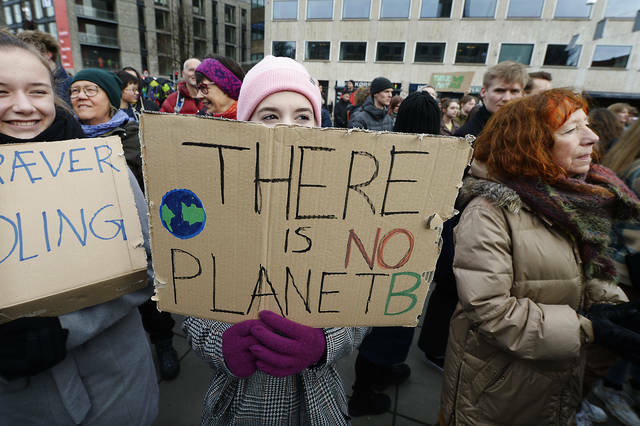 On Friday, students around the world walked out of class to protest climate change, seemingly inspired by Greta Thunberg, the 16-year-old whose weekly protests outside the Swedish parliament have earned her a Nobel Peace Prize nomination. However, newly released documents from the University of Oregon show that environmentalists have been planning for years to exploit the optics of children’s protest marches to increase support for their cause. Student walk-out protests were planned in more than 100 nations, as well as 100 U.S. cities, and the movement has received international media coverage. New documents posted online on Climate Litigation Watch show that activists planned early on to use children and young adults to garner support for their cause. The emails refer to a now-infamous meeting in La Jolla, California, in 2012, where environmental attorneys laid out a strategy to link big oil companies to global warming through a series of lawsuits modeled after those that took down Big Tobacco. This meeting foreshadowed not only the ExxonKnew lawsuits seeking internal company records in 2015 but also the lawsuits against major oil companies that were filed by New York, Baltimore, Oakland and other cities seeking damages for harms caused by global warming. At the meeting, Mary Christina Wood, professor of law at the University of Oregon, discussed atmospheric trust litigation, a legal strategy that she developed. The theory argues that a state or corporation can be held liable for damaging a resource held in the public trust. Environmentalists thought that this legal strategy had “several attractive features” in part because the lawsuits could be brought by children. Using children as the leading voices would achieve another one of their goals: finding an “emotionally resonant” narrative. Slides from her talk highlight how children’s stories are important to gain sympathy for the cause. 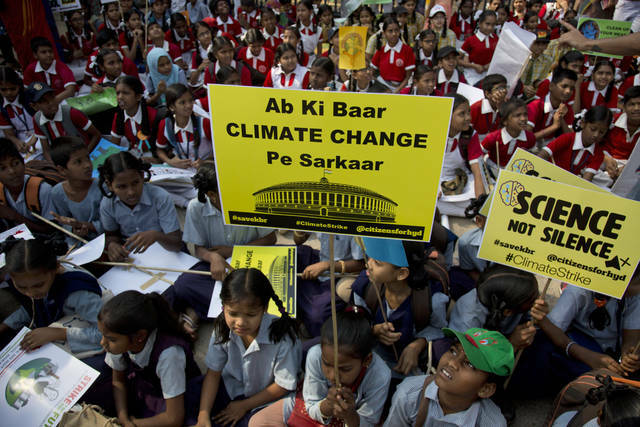 A recurring theme through the released documents is the question of how to frame the climate change issue in order to increase awareness and push the public to act. The documents, which include session minutes and schedules, show that the participants discussed this problem many times. The key, they agreed, was coming together around a narrative. 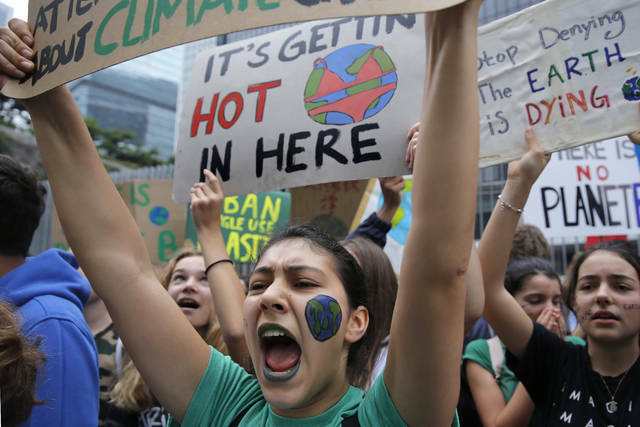 Part of this narrative was a press strategy promoting “worldwide” youth climate marches, and documentaries highlighting the stories of youth leaders. The youngest of the leaders of the U.S. Youth Climate Strike would have been around 5 years old when the meeting took place. However, environmentalists were already planning for someone like her to be an attractive face for the green movement. Disclosure statement: Harriet Thew does not work for, consult, own shares in or receive funding from any company or organization that would benefit from this article, and has disclosed no relevant affiliations beyond their academic appointment. Climate change is inevitable. Our response to it isn’t.